Dogs and cats often spring to mind first when we talk about pets, but did you know that freshwater fish, at over 142 million, are by far the most numerous pet owned? In fact, we have domesticated fish for more than 4000 years! Keeping fish and other aquatic animals as pets requires a specific skillset and ability to follow routine – you are literally providing your pets with their own ecosystem! – but a well-kept aquarium is not only beautiful to look at, it provides well-documented mental and physical health benefits! With its flowing fins and beautiful patterns, it is no surpise that angelfish are incredibly popular in aquariums. Freshwater angelfish are easily recognized by their flowing fins and have a wide variety of color patterns. Mollies are small, nonaggressive, community fish with a reputation of being easy to care for. Neon Tetras are small, brightly colored freshwater fish, that are very popular overall -- especially with beginning aquarists. An aquarium is not back-breaking work, but keeping your aquatic pets healthy requires regular care. It is essential to feed proper amounts, replenish water, monitor and control the environment (ammonia, chlorine, pH levels, etc. 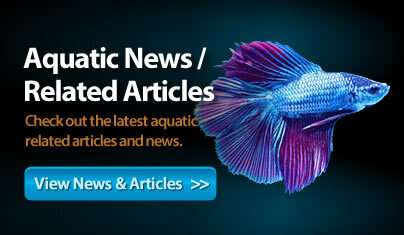 ), keep algae under control, vacuum substrate, change out water regularly, and more! This may sound like a long list of work, but in reality, most of the tasks only take a minute or two. However, it is vital that they are not neglected. 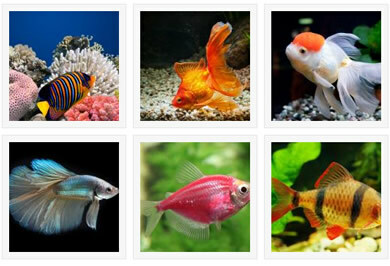 An aquarium is literally your pet's world, and they will have much longer -- and better! -- lives if it is treated as such!